Many homeowners looking for a reliable gas furnace in warm to moderate climates choose an 80% efficiency model. They cost significantly less than 90% or 95% efficient models in the same series and the shorter heating season in these climates means it would take 5-7 years or more to recoup that extra cost through lower utility bills. This reality is demonstrated in this letter from Sarah in Little Rock, AR who was kind enough to write and share her story with us so we could add it to our HVAC Prices database. “Last year we bought a small home here in town, a starter home of 1,140 square feet. It had a 12 year old furnace that worked okay but we knew would have to be replaced shortly. That time came sooner than we had hoped – the middle of last January. I did some research and found that 80% efficient gas furnaces were often recommended in our part of the country because winters are fairly mild. They are also good choices for those who don’t want to spend a lot up front or who may move in 5 years or less. All of those factors fit us perfectly. 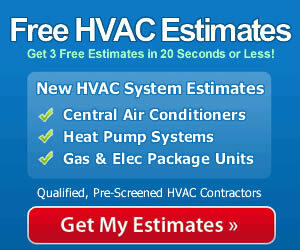 I started calling heating and cooling contractors to find the right deal, and it was quite a challenge. One salesman kept trying to convince me I needed a more efficient furnace but I stuck by my research. Several others were booked up for a week or more. Finally I got through to a guy who was willing to listen to me and discuss my needs. I found out how important it is to do research ahead of time and be persistent with contractors who may have their own agenda. The contractor, Bob, agreed with my ideas and suggested I consider a Goodman GMVC8 Gas Furnace. His reasons included the low initial cost, the 2-stage operation for balanced and efficient heating, the quiet variable speed fan and the igniter which he said would last forever. He also said they were easy to install because of the multiple position construction. I followed up the call with doing some online research about the unit and found they are highly rated for cost and reliability.